OMDC-253G-200E used for speed control in Omega's wire processing. 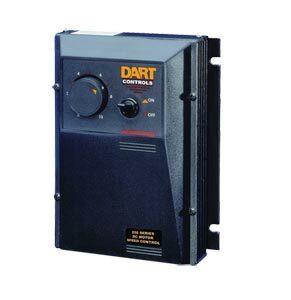 The OMDC-250 Series variable speed DC control offers superb flexibility, reliability, and value. A general purpose, economical control that is rated and tested to 2 horsepower, it provides the ultimate in standard features and versatility. NOTE: When using the -29 option (FWD-OFF-REV switch), care must be taken to stop the motor completely before switching direction. Damage to the drive can result from switching direction at speed. 8' Power cord with stripped leads, 3x16 AWG, 250 Vac max. SCE-NLP Series NEMA Electrical Enclosures. NEMA Type 1 Single-Door Electrical Enclosures. Sizes from 6x6 to 36x30.